Toa Nafasi is a program (not a separate center or school) and we work within the existing public (government) school system in Tanzania, where the majority of children are enrolled. We work predominantly with Standard One students as part of an Early Childhood Development platform, but also provide follow-up for students who still need support in Standards Two and Three. We strive to improve learning outcomes for all students, but our focus is on the most vulnerable learners in the classroom: those with learning difficulties, “slow learners,” or other marginalized children. We do not deviate from the national syllabi mandated by the Ministry of Education, but rather ensure that everyone in the class has an equal opportunity to learn regardless of his or her learning style. Toa Nafasi tutors are generally young women from the village who have struggled to find gainful employment, but who have committed to working with the Project. They are taught a few simple yet effective teaching methodologies for slow learners by our international education consultants, and then gain their experience in the classroom. Employment opportunities like these are an additional benefit of Toa Nafasi in the local community. Toa nafasi means “provide a chance” in Kiswahili. The Toa Nafasi Project seeks to support children in their early education years who are experiencing difficulty learning and who, under the current Tanzanian education system, are unable to achieve their full potential. 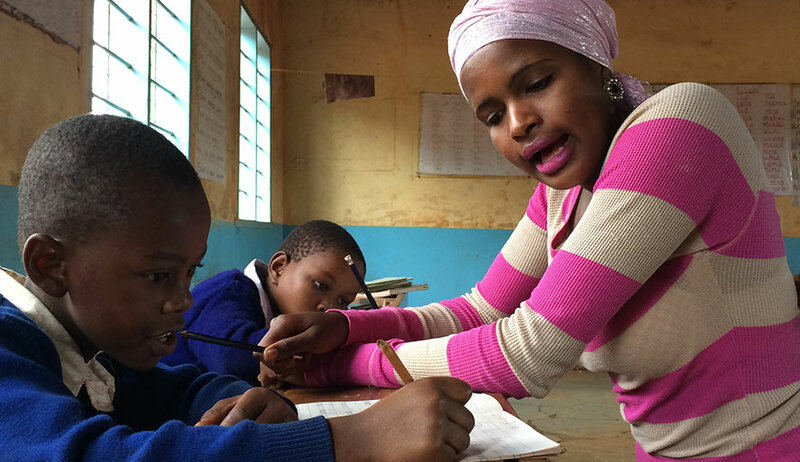 The education sector in Tanzania is not equipped to accommodate the individual learning needs of each child and, as a consequence, children with learning difficulties are often unable to fully participate in and benefit from their education, entering into a lifetime of marginalization and exclusion. Most classrooms in Tanzania are overcrowded; teachers are generally undertrained and/or underpaid; and teaching methodologies are routine and outdated. The employment of “talk and teach” and rote memorization do not test comprehension and there is little recognition that each child learns in a different way. There is also insufficient individual student-teacher or student-student interaction (pair work, group work, or after-school projects) to inject new life into lessons and make them more appealing. 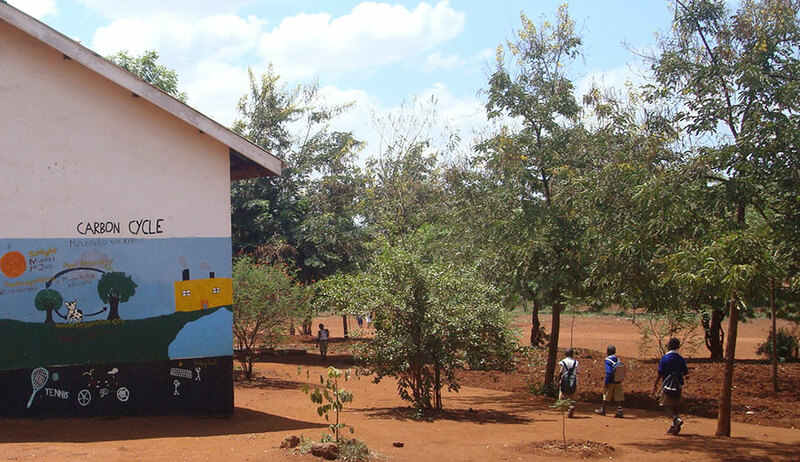 The Toa Nafasi model is a three-tiered approach of assessment, referral, and curriculum modification that has enabled significant development in students found to be flagging in the early grades of public primary school in Kilimanjaro, Tanzania. In order to provide the best services we can and to keep our activities running smoothly, we also invest highly in training our tutors and enhancing community relations. Each year, our staff with the permission and cooperation of school administrators, take a census of all the children enrolled in Standard One. We observe each child for social behaviors, adaptive abilities, and motor skills as well as test them for literacy, numeracy, and cognitive skills to get a full picture. Since there are many reasons why a student might under-perform in the classroom, The Toa Nafasi Project has a referral system of health professionals to treat those pupils who are struggling due to medical or psychosocial issues. In past years, we have assisted children with adenoid and tonsil surgeries, rehabilitated those suffering from sexual abuse trauma, found proper boarding school facilities for those who cannot succeed in the inclusive classroom, perhaps due to autism or fetal alcohol spectrum disorder, and treated a multitude of children with complaints ranging from vision and hearing impairment to mild medical conditions. Finally, The Project works with the remaining children who are still struggling to reach their potential to help them complete the standard Tanzanian curriculum in a modified context. Because the Tanzanian educational system requires that schoolchildren sit for periodic national examinations, the national curriculum must be adhered to but the syllabus and/or teaching methodology can be readily adjusted for students with special needs with more time spent on each lesson, one-on-one time with the tutor, and hands-on work. In order to make sure we are reaching the students who need our support, The Toa Nafasi Project’s corps of tutors is trained by our international education consultants from the International Association of Special Education and, in particular, Dr. Angela Stone-MacDonald (University of Massachusetts, Boston) to observe and test each student. Staff from the Gabriella Centre provide further training throughout the year. Post-training, our tutors are able to employ new pedagogical methods such as Teaching with Visualizations, Jigsaw Lessons, Total Physical Response, and other new methodologies to help young children grasp subject material more easily. Since we know that many factors in the current Tanzanian education system create an unfriendly learning environment for typically developed children, we can guess that for “slow learners” and children in distress, it is hopeless. In order to rectify this situation, The Toa Nafasi Project uses its public-private partnership with the Tanzanian government and local communities to provide support for these struggling students, their parents and families, and the teachers and administrators within the public school system. And, by utilizing a previously unemployed local workforce made up primarily of village women, we are also providing jobs and perpetuating a sense of empowerment and professionalism where none existed before.